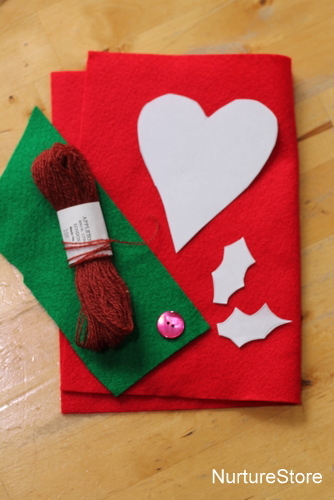 This is a lovely simple sewing project for kids ~ how to make a Christmas tree decoration and a heart ornament. 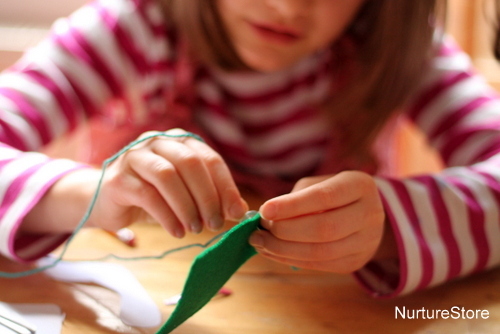 Each step of this project is easy to do, making it a great first sewing project for kids. It’s just the kind of cosy craft for a cold winter day when you’re stuck indoors. First gather your materials. 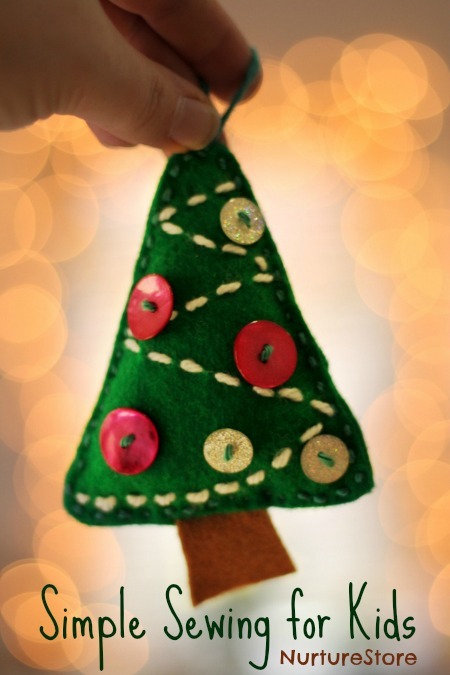 To make the Christmas tree decoration you’ll need some green and brown felt (or other suitable fabric), a needle and thread, and some things to decorate your tree. We’re using some white wool and a few buttons, but you can choose what you like. 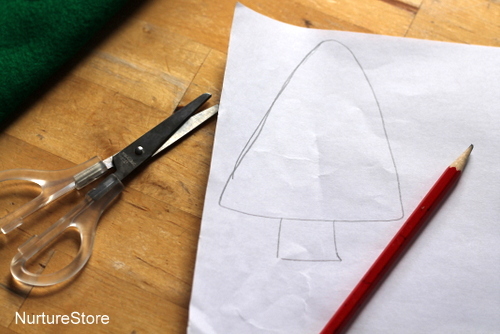 Draw out your own pattern on a piece of paper and cut it out. Keep your design bold and simple, so it is easier for you to sew. Then use your template to cut out two green pieces and one brown trunk section. If you use a pin to hold the pattern nice and still, you’ll find it easier to cut out your fabric shapes. 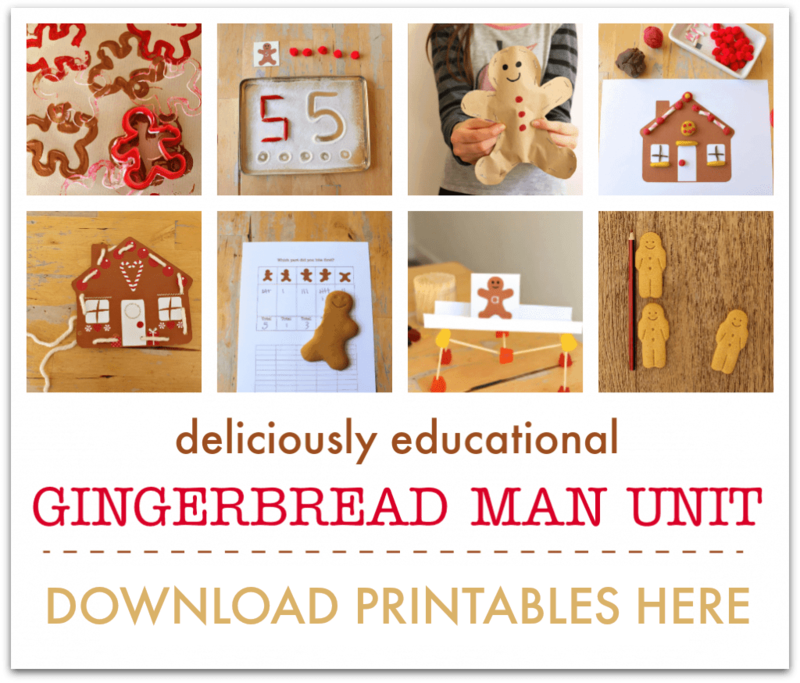 Sew on some decorations to your tree. 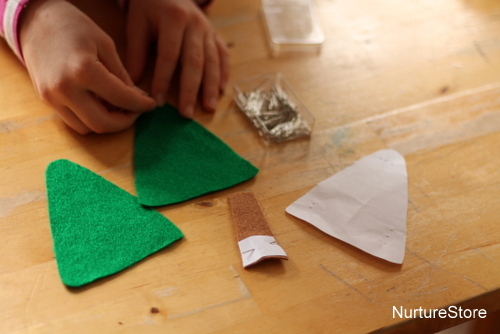 You can sew on one of the green tree shapes, or on both of them. A simple running stitch with the white wool makes good tinsel. 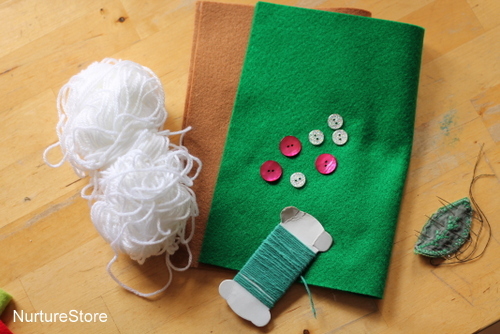 Then use some thread to sew the two green tree pieces together. Again, using pins to hold the pieces in place will help you. We’re using a simple running stitch in a thread the same colour as our tree, but you might choose to use a blanket stitch or a contrasting thread colour. Pop the brown trunk piece inside the two green tree pieces, and sew right across all three, so your trunk is held in place. Remember to push in some stuffing before you sew right the way around your tree, and then finish off your stitches with a simple knot at the end. 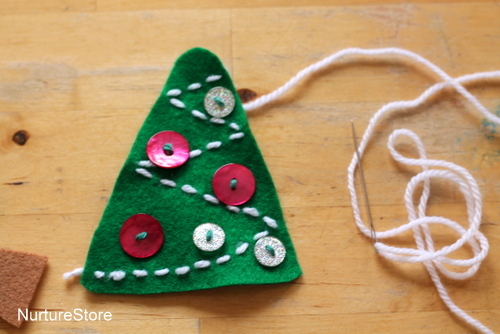 Add a loop of thread so you can hang your Christmas tree decoration. 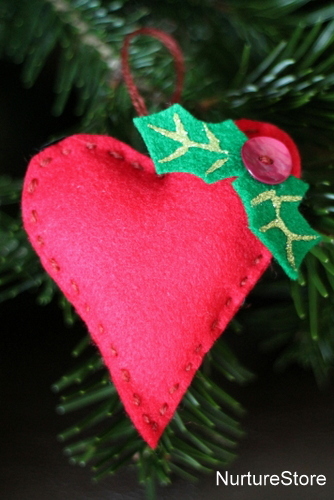 To sew a heart decoration, the basic process is the same. You’ll need some red felt this time ~ or another fabric of your choice. 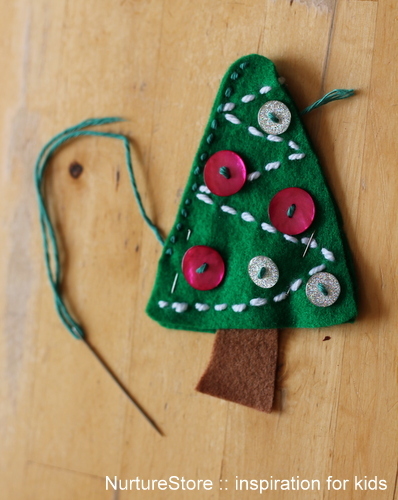 A couple of pieces of green felt and a red button make a pretty sprig of holly to go at one side of your heart, and you can add some detail with glitter glue.